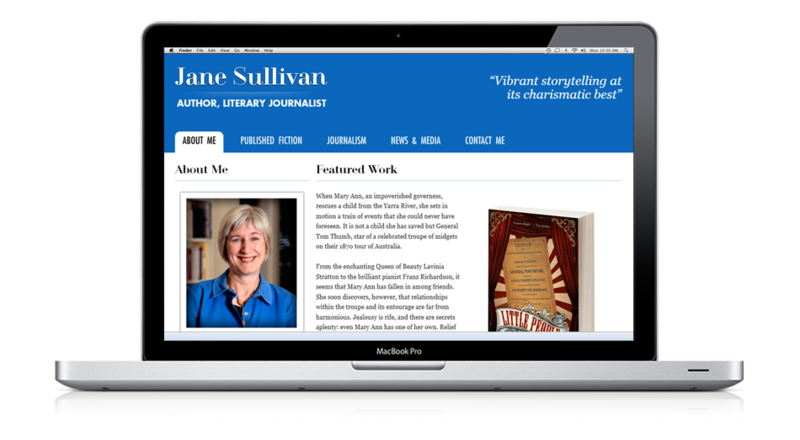 I built a website for Jane Sullivan, an Australian author based in Melbourne. Jane is a journalist for the Melbourne newspapers The Age and the Herald Sun. She also writes fiction and has produced two novels, as well as a short story. The website is a means for Jane to stay in touch with her fans and reach a wider audience by showcasing her work. Jane is a delightful client, and I look forward to working with her in the future.